For over 25 years, Robert Rosen, DMD has served patients from the Summit, Millburn, Short Hills, Chatham and Maplewood, NJ communities, providing high-tech orthodontic care in a friendly, relaxed environment. His goal is to provide you with beautifully aligned teeth, and keep you smiling during the process. Dr. Rosen and his team are a group of caring professionals that treat you as a person, respect your time, and provide you with an unparalleled orthodontic experience. Please take a moment to read the patient testimonials. His patients are seen as individuals with unique goals and needs. Each treatment plan is designed with each specific patient in mind, and utilizes the most effective products available, including Invisalign® clear aligners and Clarity™ ceramic braces. 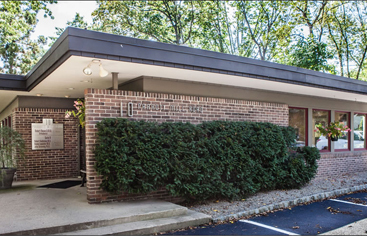 Conveniently located in a state-of-the-art facility, the office is a stone’s throw from the Mall at Short Hills and has convenient onsite parking. Please feel free to contact his office to schedule an appointment with Dr. Rosen today!